Sheree at Visage Cosmetics contacted us based on feedback from our other clients. Sheree had an existing website which was built and hosted on WordPress.com. This website, however, was never fully completed, so Sheree decided to start afresh with Go Web. 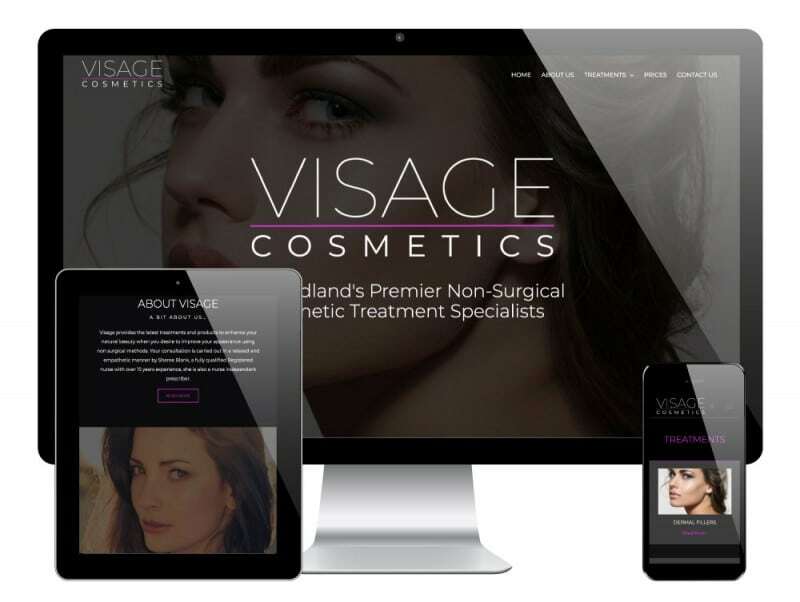 Visage Cosmetics offer beauty and cosmetic treatments from their salon in Chesterfield, Derbyshire. They needed a site which not only provided details and pricing of the treatments they offer, but one which looked good and reflects their brand image. We produced a new logo, design concepts and brand guidelines for Visage using our three-step design proof process. This allowed us to work with Sheree to produce something perfect for her and her business. This site is build in WordPress, meaning that Sheree and her team can quickly and easily log in to the WordPress dashboard to make changes to treatments, pricing and all other content.